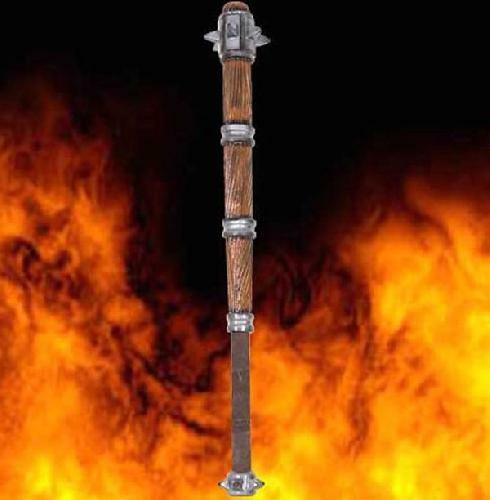 The artificial wood grain of this unique war mace will bring it to the forefront of the battlefield. Features a suede wrapped, hard rubber handle for good balance and excellent control. This realistic latex weapon has a non crack finish for long lasting play.